purplera1n for mac was released, which helps to jailbreak the iPhone 3.0 OS in the iPhone 3GS and this tool was released for windows earlier, works perfectly fine as tested on both the OS. After downloading, open the application. It comes as a zip file so first extract it. You should be having iTunes 8.2, if not, upgrade to 8.2 version without which the Jailbreak is not possible. Then you see a picture in your iPhone with a boy, which is the Jailbreak image from geohot team like the pineapple when you use Pwnagetool or QuickPWN. 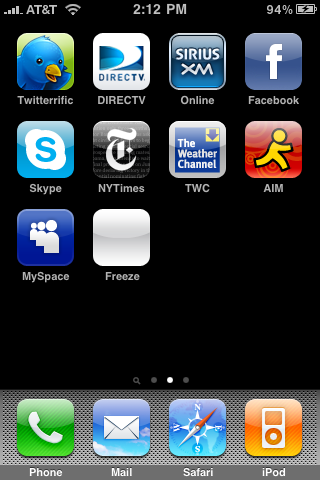 Now after its done, you get notified, and you will see a new app called Freeze with a blank icon in the iPhone. Open that. On Opening the Freeze app, you can install Cydia as shown below. Cydia is an app that helps in bringing in the 3rd party applications to your iPhone. Once Cydia is installed, it confirms that you have successfully jailbroken your iPhone 3GS. Here is a tutorial on how to unlock iPhone 3G 3.0 firmware with ultrasn0w(unlock) and redsn0w(jailbreak). But that is for 3G, and the above tutorial is for the new iPhone 3GS phones. when i wait for purplera1n to finish the phone goes into recovery mode….and then it says done!wait…itunes pops up and says it needs to be restored i dont think this is right so what do i do?